In January, ITS Digital Services delivered a new custom WordPress website to the University’s Arts Everywhere group. 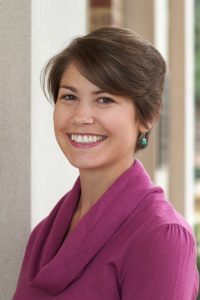 The website provides Arts Everywhere with the comprehensive platform the organization needs to communicate about the initiative — what Arts Everywhere is, its objectives, upcoming programs, and the many ways to engage with the arts at UNC-Chapel Hill, said Rachel Ash, Associate Director of Arts Everywhere. It is Arts Everywhere’s first dedicated website. 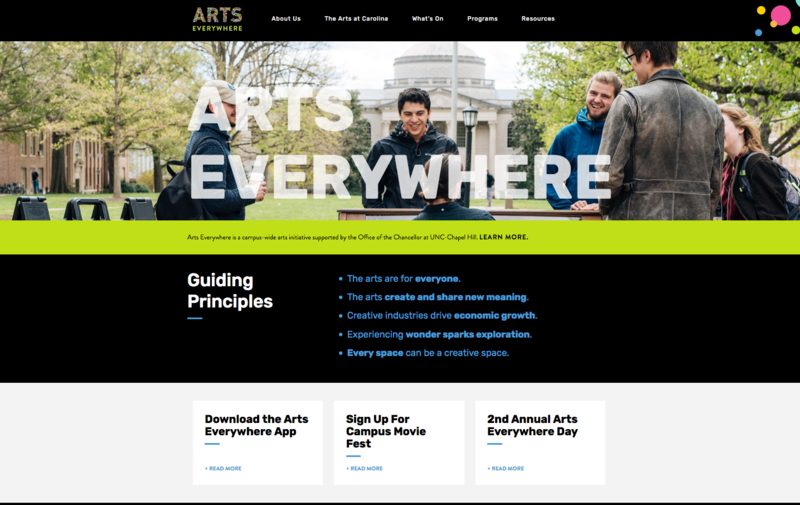 Digital Services also created the original Arts Everywhere site, which was focused on the Arts Everywhere kick-off event in April 2017. Established in 2016 with the support of Chancellor Carol Folt, Arts Everywhere collaborates with diverse departments, units and organizations to embed creative expression, live arts experiences and arts learning into students’ Carolina education. This new, entirely modular-based website required a lot of work on the back end to create, but it is “very flexible and can adapt to whatever content needs to be entered,” said Kim Vassiliadis, Digital Solutions Manager at Digital Services. Michael Triplett, Digital Services’ Lead Web Developer, created the website from a design from UNC Creative. It was a beautiful design from which to start, Vassiliadis said. Digital Services also participated during the design process to ensure UNC Creative’s design worked for WordPress. 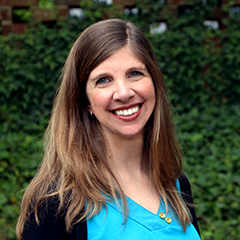 Including the design process with UNC Creative, Triplett worked on the Arts Everywhere website from August 2017 to January 2018. As part of the effort for Arts Everywhere, Digital Services’ Web Architect William Earnhardt participated with Rivers Agency, a Chapel Hill advertising agency, on its development of a complementary app. The app was released when the website went live.